Read on to discover your packing personality and what it may reveal about you as a traveller. There are few other pre-vacation rituals as equally loved and hated as packing: ‘Tis both a chore and a sign of good times ahead. 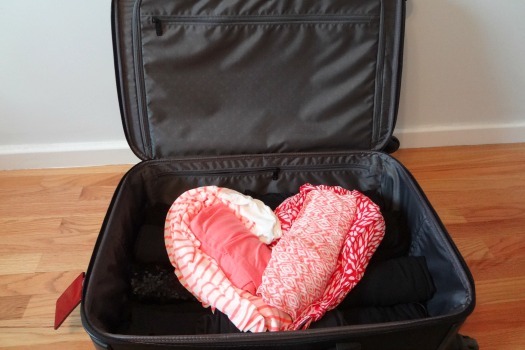 We all have our own preferred packing method, but what does your suitcase really say about you? 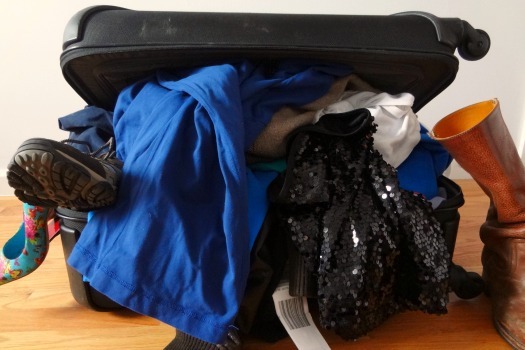 Read on to discover your packing personality and what it may reveal about you as a traveler. Ready to travel? You can search for flights, hotels and vacation deals at Cheapflights.com. The Back-Packer stands out like a sore thumb. After all, only a few die-hards still prefer to sling a rucksack over their shoulder and cart it off into the sunset – er, toward the terminal – while others look on in amazement trying to figure out how long it takes to get to the items at the bottom. Back-Packers go against the grain: Often adventurous nature-seekers who laugh in the face of traditional rolling bags, they always appear to be fresh off the Appalachian Trail and ready to set up shop for the night just about anywhere. 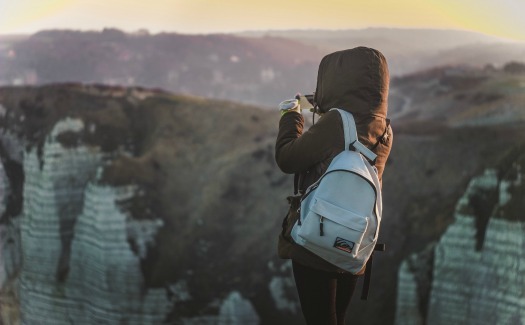 Outdoor enthusiasts, students heading on a semester abroad and those who’ve quit their jobs to travel the world are all likely Back-Packer candidates, probably with a few stories tucked away, too. An Over-Packer’s mind is chock full of “what ifs:” “What if I go horseback riding?” “What if we go out to fancy dinners eight nights in a row?” “What if I go running and walking? Surely, I’ll need two sets of sneakers.” These hypothetical scenarios can lead to an entire closet’s worth of items taking up residence in a suitcase, not to mention some potential overweight baggage fees and an exhausting trek to and from the airport with a heavy bag in tow. 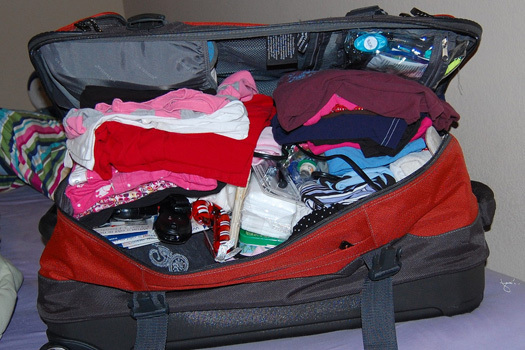 Have you ever unzipped your suitcase at the check-in desk to remove a few items and lighten your load? (You know who you are.) Over-Packers prefer to have options on vacation; they want all the comforts of home at their disposal. Cutting back isn’t their strong suit, and even when they think they’ve weeded out every possible unnecessary item, their bags still require the weight of a human sitting on it to zip all the way. They’re also no strangers to carting home a suitcase at least half full of unworn clothes. But, hey, at least there were plenty of options. Checked bags (and their fees) are for the birds — at least, that’s The Carry-On Connoisseur’s mantra. This efficient traveler has perfected the art of traveling light and sashaying through airports with the greatest of ease. No suitcase nook or cranny has been left unturned and no trip is long enough to require a big bag. 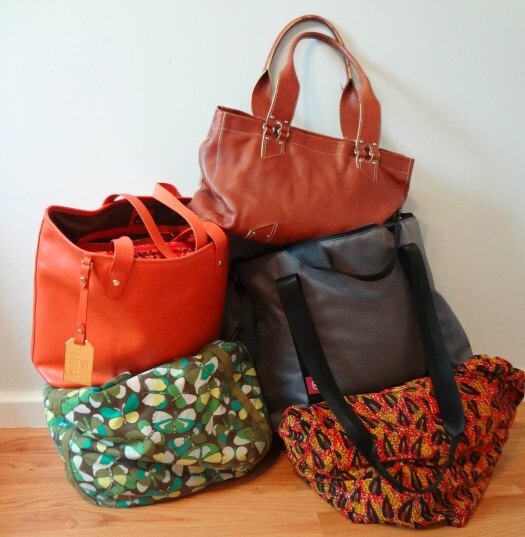 Organized, practical and minimalistic, Carry-On Connoisseurs know how to make the most of a small amount of versatile clothing. They own travel-sized everything, have no problem trimming the proverbial fat from their packing list and they are pros at maximizing suitcase space. They might even have a vacuum pack or two up their sleeves. Carry-On Connoisseurs are also planners: When they get up to the front of the security line, you can bet your bottom dollar they have their electronics in an easily accessible pocket and their plastic bag of gels and liquids at the ready. Warning: The Master of Many Mini Bags may be under the impression he is actually a Carry-On Connoisseur, but he would be wrong. The packing process starts out innocently enough with The Master aiming to fit everything into one super-small bag. Diligently making like a (Holy) Roller, he fits an impressive amount of threads into one mini bag and gives himself a pat on the back for being the best packer in the history of travelers. But, wait, that was only The Master’s clothing. There are still things like shoes, bathroom products and that suit bag hanging in the closet. Looks like a second mini bag will be in order. And so they multiply. A bit scatterbrained and impractical yet carefree and adaptable, The Master of Many Mini Bags is always up for a challenge or new adventure — even if it doesn’t work out as planned. Does this airport luggage cart look familiar? Then, chances are you’re a Parental Packer. 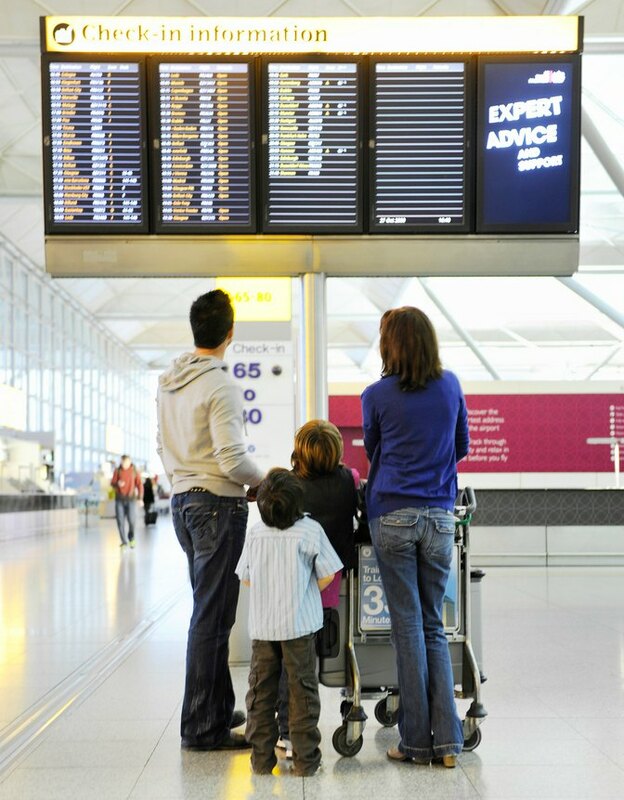 From the kids’ bags to baby items to your own onslaught of gear and gadgets, you typically have more baggage to cart around an airport than you did on moving day. Often punctuated by cute suitcases for the kids, the Parental Packer’s parade of bags is impressive and can only be pieced together by the most patient of packers; after all, this traveler has undoubtedly singlehandedly packed all the bags sitting aboard that luggage cart. 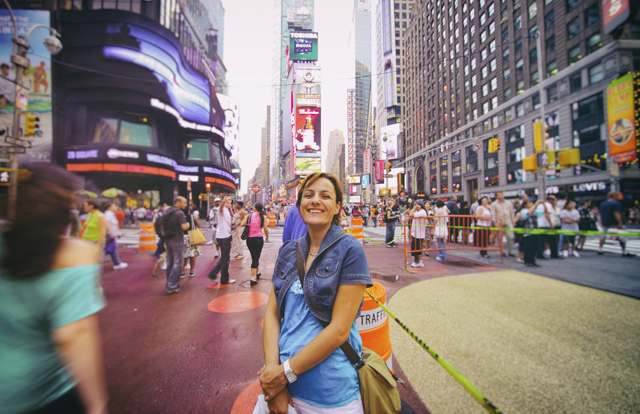 Family vacations don’t scare this multitasking traveler. Sure, they may require some extra coordination (and bravery), but you can juggle several suitcases like a pro and the end result — a fun getaway with the family — is worth it. 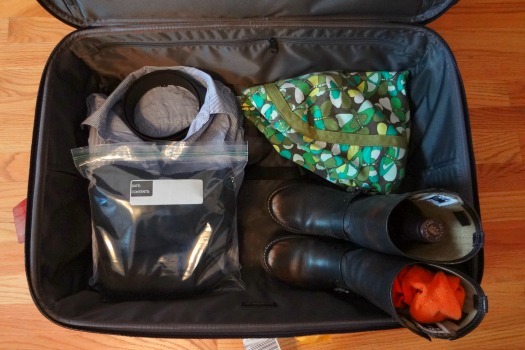 A creative and out-of-the-box thinker, the Artist on the Go tries a new packing method before each trip: Inventive (and sometimes impractical) suitcase designs ensue. 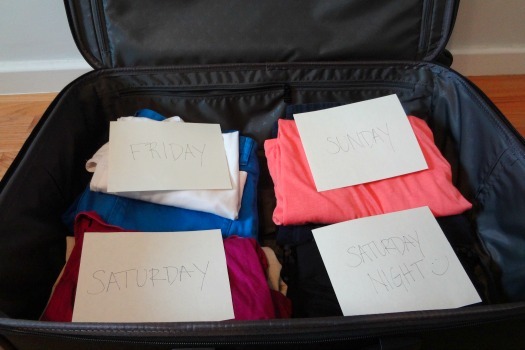 From color coding to shapes and rolling to folding, every piece of luggage is a blank canvas for this vacation visionary. Travels with the Artist are never boring: He sees everything with a fresh eye, genuinely enjoys each vacation detail and loves to just soak it all in. You can also count on these Artists for surprises, excitement and – more likely than not – some pretty spectacular vacation photos. Rolling your clothes? So passé! Hack-er Packers seek out and employ every packing trick in the book: saran wrap over bottles so they don’t spill, socks and underwear stuffed inside shoes, necklaces strung through straws to avoid tangles — you name it, they do it. 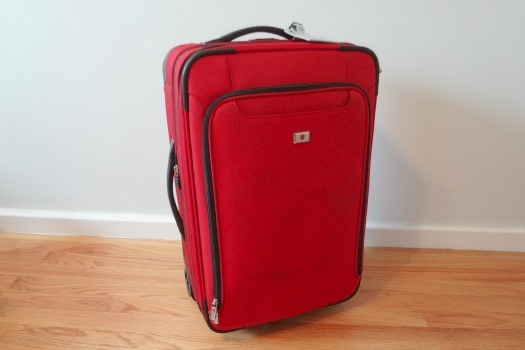 When it comes to packed suitcases, their finished products may as well have been concocted by an engineer. The resourceful Hack-er Packers probably have a dryer sheet in their suitcase to keep things smelling fresh, a binder clip covering their razor blades and an empty tote bag just in case some extra space for souvenirs is in order. These travelers love being in the know; in fact, they’ve probably researched their destination up and down too. Why not pack in a way that just makes sense? No-Nonsense Nomads have it all figured out. They pack according to the order of their trip, lining up specific outfits and other necessities for each day they’ll be away. Then, during their trip, they progress through their lineup in order, wearing what they’ve selected for each day, while Over-Packers everywhere let out a collective, “Why can’t I be more like that?” The Nomads never overpack because they’ve mapped out a specific journey through clothes that doesn’t leave room for any extraneous items. Sensible and pragmatic when it comes to suitcases, these travelers have done enough prep-work to be able to leave all their cares behind on vacation. Well Equipped Explorers are the kings and queens of oversized (and sometimes strange) baggage. 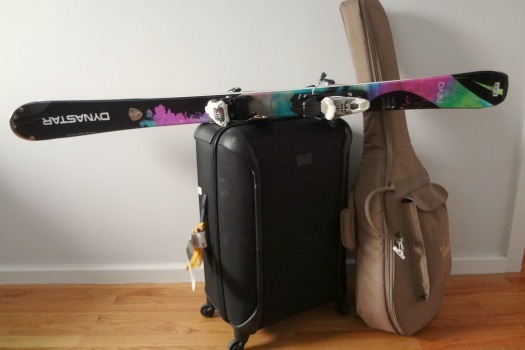 Skis, snowboards, guitars, golf clubs, pets — you name it, they’ve taken it with them. These active (and probably pretty talented) travelers have read the rule book and they know the score — some of these items can’t be carried on and will incur extra checked baggage fees — but they’ve gotta have their gear, so they push forward without fear. You won’t see an Explorer headed for lazy days on a warm beach (unless, of course, he has a surfboard in tow); instead, they’re mainly bound for mountains, sporting competitions and concert halls. No organized piles or itemized lists here. The Eleventh-Hour Power Packer is a whirlwind in the packing department, running around at, well, the eleventh hour throwing almost anything and everything into a suitcase. The end result could be wonderful (“Amazing, I brought THIS shirt with me!”) or utterly disastrous (“Guess it’s off to the store to buy all those bathroom products I forgot…”), but the Power Packer is just daring enough to find out. 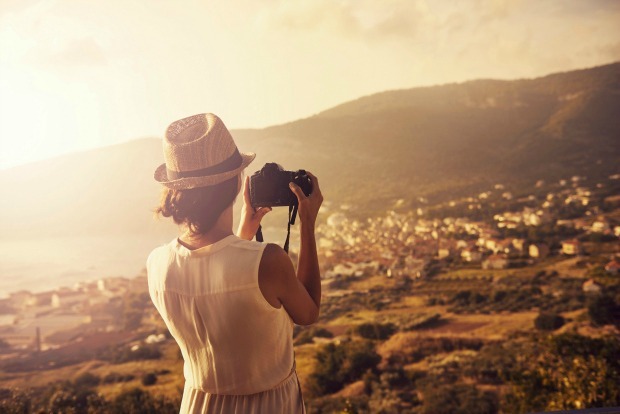 These travelers prefer to live on the edge, be spontaneous and tend to procrastinate. They put just enough time into life’s administrative minutiae — after all, there is a busy social calendar out there to attend to. You’ll spot Power Packers at the security line reaching for a free plastic bag from a dispenser and digging around for all their liquids, gels and valuables. Life’s too short to worry about being completely organized. 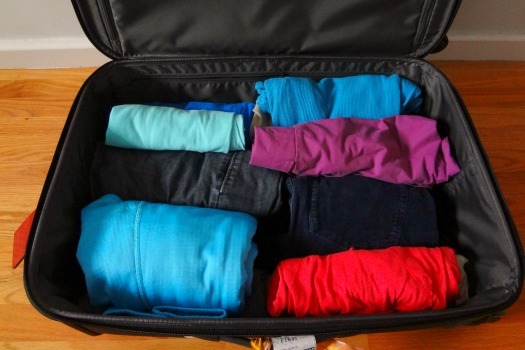 What’s your packing personality? 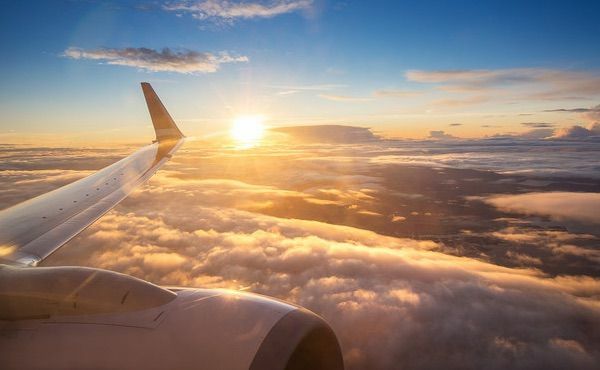 Share with us in the comments and start planning your next vacation on Cheapflights.com. What happens when you flush a toilet on a plane?